When you travel a lot it’s bound to happen: that moment when you stand there staring at the baggage carousel after a long flight and realize your bag isn’t next to slide down the chute. Exhausted, you hope against hope it will show up. You wait an extra few minutes, watch the carousel come to a stop, take one more desperation lap and realize you’re #&@<ed. If you’re flying American Airlines the instructions are similar: notify the AA baggage service agent prior to leaving the airport. The airline will give you an ID number and a brochure to guide you through the process. The key is DO NOT LEAVE THE AIRPORT without filing a report. You also need to get a copy of the report or some sort of claim number. In many cases you can then use the claim number to track your bag through your airline’s website. Assuming you don’t have spare underwear in your carry-on and aren’t comfortable going commando, hit the store and buy a new supply. Keep the receipts for that purchase and any other necessities you might be without. The airline might be willing to reimburse you for the cost; check with your airline’s policies. You should also check with your airline to see if they’ll refund any baggage fees you may have paid. You shouldn’t have to pay for bad service and some (a few) companies agree. You can also turn to Twitter for help. A lot of the good airlines have a helpful person on the other end to offer advice on policies. Just remember you’re talking with a human being, and he or she didn’t personally lose your bag. You may be frustrated and exhausted, completely at your wits’ end, but do your best to be kind. I searched a lot of airline websites for this information and found a good detailed example of what to do if your luggage gets lost is on the Air Canada website, which of course (because its Canada) starts off with the sweetest apology. 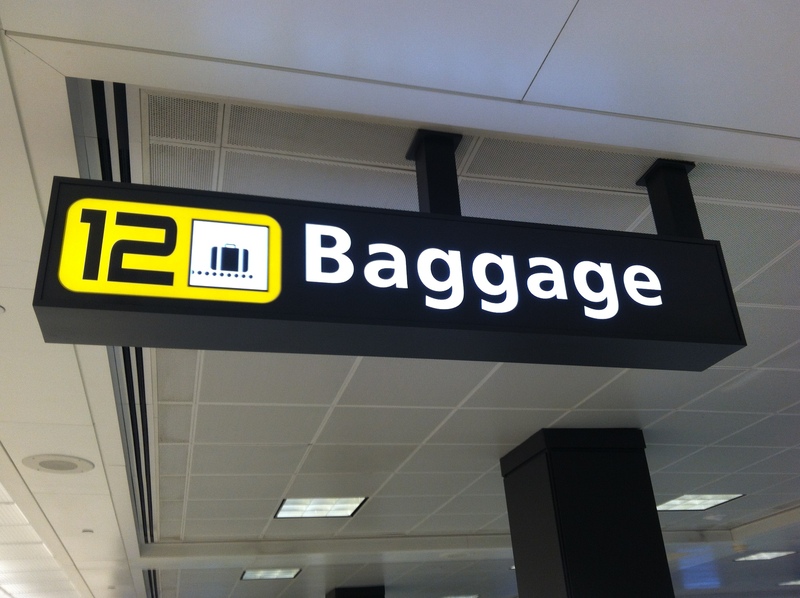 Here is a select list of links of to airline baggage claims. If your airline isn’t listed, try searching the name of your airline with “lost baggage” or “delayed baggage”.